Halloween 2015 is officially behind us, but I still want to offer this photo. On Saturday, Melinda & I took Celeste to University Village to see all the cute little kids in their adorable costumes. 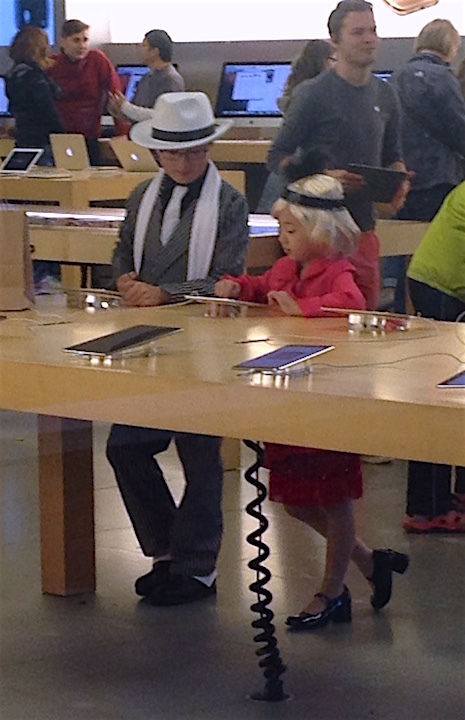 I spotted these two time travelers inside the Apple Store. « 1 November 2015 : Gimme a Potato!